Amazing service, I wish INFINITI sold 1/2 ton trucks so I didn't have to go back to LHM Ford (Salt Lake or Draper) for service. Vroqua and Cole have helped me on numerous occasions and are knowledgeable of their product/services. I've been offered a courtesy car while waiting and if the service takes longer than what I was given as an estimate, I am promptly given an update and an apology. I dread servicing my truck at Ford but not my G37X. 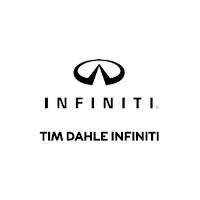 Thank you, Tim Dahle INFINITI Team! Buying a car here was a fantastic experience. Weston the business manager was great and helped me work out solid financing and a great warranty. The service department is simply excellent. I had nothing but professional and excellent customer service. My service adviser Mike and the Manager Mark went above and beyond. Couldn't ask for a better customer experience. Highly recommended.